Great .. Then what can you say about this picture! One cold winter day I was strolling along street this street down which I had traveled several times. This time I had my camera and was noticing every detail when I saw the perfect shot for that day. Ghent is a modern city but I managed to get a conservative look with its old facades of old buildings. 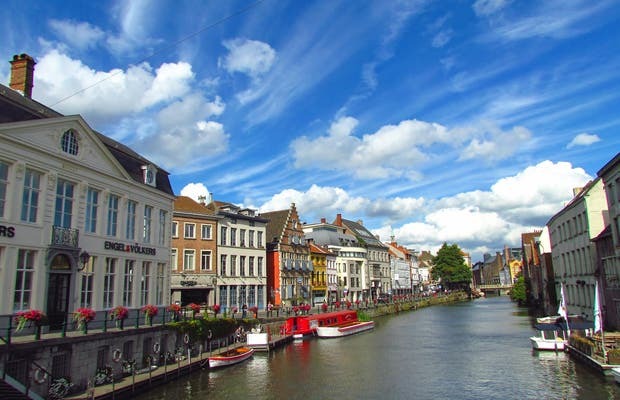 Certainly, if you go to Belgium, do not miss Ghent and its squares full of symmetrical buildings!